See my email to Irish Minister Finian McGrath re the emerging international HPV vaccination scandal. So is this how important decisions on vaccination practice are made? On the whim of a Prime Minister in pre-electioneering mode? John Howard’s wife had cervical cancer. Did this personal experience affect Howard’s decision? Was this appropriate considering the complexity of the issue in regards to low risk of cancer, controversy re appropriate age for cervical cancer screening etc? 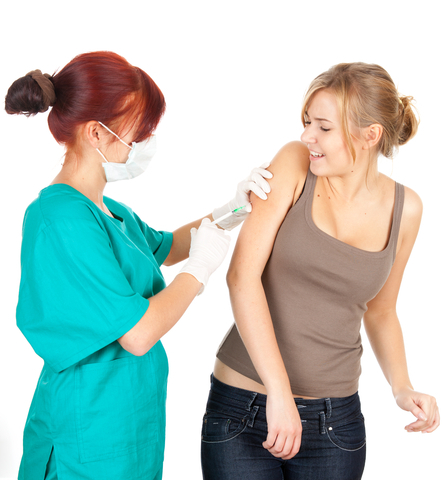 What sort of lobbying took place to overturn the PBAC’s original decision to reject Gardasil? In her report “Government response to PBAC recommendations”, Marion Haas provides some commentary on the Australian government’s interference with the PBAC’s initial rejection of Gardasil, noting the then Prime Minister, John Howard, “intervened personally by announcing that the drug would be subsidised (ie listed) as soon as the manufacturer offered the right price. The PBAC subsequently convened a special meeting and recommended that Gardasil be listed on the PBS” (Pharmaceutical Benefits Scheme). Getting a vaccine on the Australian Pharmaceutical Benefits Scheme must be the ‘golden goose’ for vaccine manufacturers as this assures a mass market for their vaccine product. Other countries have also adopted HPV vaccination, impacting on millions of children around the world and resulting in multi millions of dollars’ worth of sales for Merck (Gardasil) and GlaxoSmithKline (Cervarix), and royalties for entrepreneurial scientist Ian Frazer from sales of HPV vaccines in developed countries, and for CSL which receives royalties from sales of Gardasil..
No wonder Ian Frazer was willing to forego royalties from developing countries  – how much profit will he reap from sales of the vaccine to governments in developed countries? The case for universal HPV vaccination is unconvincing, and the motives for its promotion are suspect. It’s time there was an investigation into the government lobbying and aggressive global marketing of the HPV vaccine. For more information, read my letter to Irish Senator Paschal Mooney, who has made an impassioned speech about young girls and women in Ireland suffering adverse events after HPV vaccination. My letter to Senator Mooney includes background information on the controversial fast-tracked implementation of Gardasil HPV vaccination in Australia in 2006/2007. My letter to Senator Mooney (4 November 2015) can be accessed via this hyperlink: Letter to Senator Paschal Mooney re HPV vaccination.